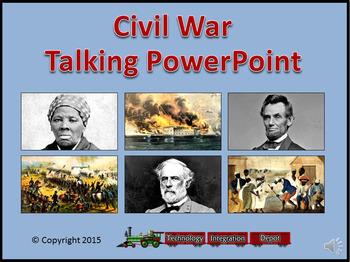 Turn down the lights and turn up the volume for the Civil War Talking PowerPoint! 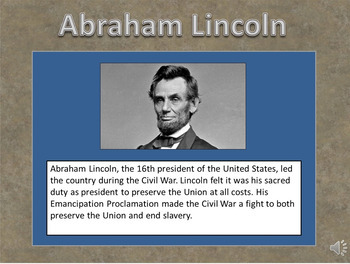 This slideshow highlights 48 persons, events, documents and more. Each slide is narrated so students can progress through the presentation in a computer lab setting. 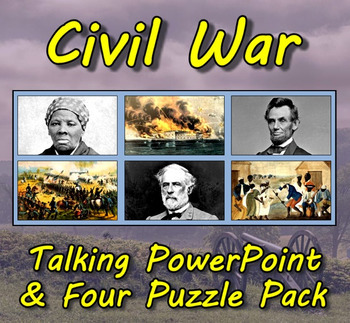 Ideal for introducing topics children can select for further study. 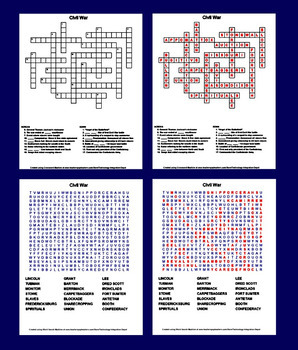 Also included are two crossword puzzles and two word searches basic upon facts found in the presentation. Answer sheets are included. Enjoy!